MP3 Download : Pivot - Ah_mx6tk1 6.18 MB - produced by Pivot, 2002. Recorded at UTS Sound Studios by James Fletcher Mix by Richard Pike & James Fletcher. infectious instrumental melodies. 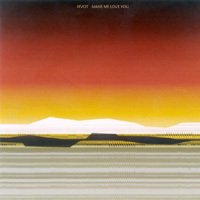 The result of their work is their debut album, 'Make Me Love You'. With their earliest demos distributed at a handful of gigs as homemade EP's, Pivot attracted the attention of community radio in Sydney and Melbourne early on, and also found their way onto the national airwaves of Triple J. The band have consistently gigged around their hometown of Sydney, developing a strong live reputation through performances at Freaky Loops, the Cockatoo Island Festival, and also through frequent appearances at long standing electronic music night Frigid. They have also remixed tracks for Prop, and Inga Liljestrom, and performed alongside international electronic luminaries such as Squarepusher and Burnt Friedman, the latter recently handpicking the Pike brothers to record and tour Europe in September 2005 as part of his influential group Flanger. Four years in the making, Pivot's debut album 'Make Me Love You' is an ecstatic combination of electronics, rock, and nuance, which makes for an invigorating soundtrack for each new day.